Stacy Alaimo is Professor of English and Distinguished Teaching Professor at the University of Texas at Arlington. She has published widely in the environmental humanities, science studies, and feminist theory on such diverse subjects as environmental literature and film, environmental art and architecture, activist performance art, environmental pedagogy, gender and climate change, "queer" animals, and ocean conservation. She currently serves on the MLA Division of Literature and Science and is the new editor of the "Critical Ecologies" stream of the Electronic Book Review. Her publications include Undomesticated Ground: Recasting Nature as Feminist Space (Cornell UP 2000); Material Feminisms, edited with Susan J. Hekman (Indiana UP 2008); and Bodily Natures: Science, Environment, and the Material Self (Indiana UP 2010). Bodily Natures won the ASLE Award for Ecocriticism in 2011. Professor Burkett's courses include Climate Change Law and Policy, Torts, Environmental Law, Race and American Law, and International Development. She has written in the area of Race, Reparations, and Environmental Justice. Currently, her work focuses on "Climate Justice," writing on the disparate impact of climate change on vulnerable communities, in the United States and globally. Her March 2007 conference "The Climate of Environmental Justice," at the University of Colorado, brought together leading academics, activists, and legal practitioners in the Environmental Justice field to consider the emerging interplay between race, poverty, and global warming. Professor Burkett has presented her research on Climate Justice throughout the United States and in West Africa, Asia, Europe and the Caribbean. 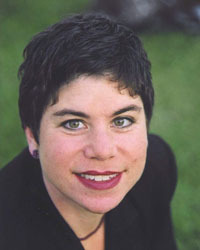 She most recently served as the Wayne Morse Chair of Law and Politics at the Wayne Morse Center, University of Oregon, as the Fall 2010 scholar for the Center's "Climate Ethics and Climate Equity" theme of inquiry. She is the youngest scholar to hold the Wayne Morse Chair. From 2009-2012, Professor Burkett served as the inaugural Director of the Center for Island Climate Adaptation and Policy (ICAP), where she led projects to address climate change law, policy, and planning for island communities in Hawai'i, the Pacific region, and beyond. Professor Burkett attended Williams College and Exeter College, Oxford University, and received her law degree from Boalt Hall School of Law at the University of California, Berkeley. She has worked in private practice in Honolulu with Davis, Levin, Livingston and Paul, Johnson, Park & Niles, and served as a law clerk with The Honorable Susan Illston of the United States District Court, Northern District of California. Prior to her appointment at the University of Hawai'i, Professor Burkett taught at the University of Colorado Law School. 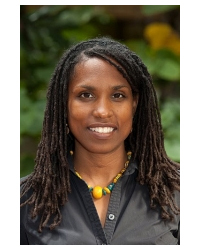 Professor Burkett is from the island of Jamaica, and now she and her husband raise their two young children on the island of O'ahu, Hawai'i. 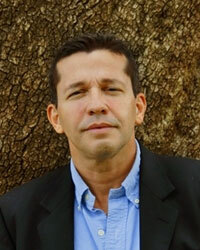 Juan Carlos Galeano is Professor in the department of Modern Languages and Linguistics at Florida State University. He is the author of Baraja Inicial (1986), Pollen and Rifles (1997), Amazonia (2003), and Yakumama and other Mythical Beings (2011). His poetry, inspired by Amazonian cosmologies and the modern world, has been published internationally and translated into French, English, Portuguese, and German. Poems from Amazonia have been published in magazines and journals such as The Atlantic Monthly, Field, Ploughshares, TriQuarterly, Antioch Review, and Review: Literature and the Arts of the Americas. His poems and folktales have also appeared in college textbooks, collections and in international anthologies such as Literary Amazonia (Florida UP 2004), Ecopoetry: A contemporary American Anthology (Trinity UP, forthcoming), and The Encyclopedia of Religion and Nature (Continuum 2005). His research on Amazonian culture has appeared in his collection of folktales Cuentos amazónicos (Literalia Editores 2007), Folktales of the Amazon (ABC-CLIO 2008), as well as in the film he co-directed and co-produced, The Trees Have a Mother (Films for the Humanities and Sciences, 2008). Dr. Jackson's writings include both papers and books. His most recent works, Nature as Measure (2011) and Consulting the Genius of the Place: An Ecological Approach to a New Agriculture (2010), were both published by Counterpoint Press. The Virtues of Ignorance: Complexity, Sustainability, and the Limits of Knowledge (2008) and Rooted in the Land: Essays on Community and Place (1996), were co-edited with William Vitek. Becoming Native to This Place, 1994, sketches his vision for the resettlement of America's rural communities. Altars of Unhewn Stone appeared in 1987 and Meeting the Expectations of the Land, edited with Wendell Berry and Bruce Colman, was published in 1984. New Roots for Agriculture, 1980, outlines the basis for the agricultural research at The Land Institute. The work of The Land Institute has been featured extensively in the popular media including The Atlantic Monthly, Audubon, National Geographic, Time Magazine, The MacNeil-Lehrer News Hour, and National Public Radio's "All Things Considered." Lifemagazine named Wes Jackson as one of 18 individuals they predict will be among the 100 "important Americans of the 20th century." In the November 2005 issue, Smithsonian named him one of "35 Who Made a Difference," and in March, 2009 Wes was included in Rolling Stone's "100 Agents of Change." 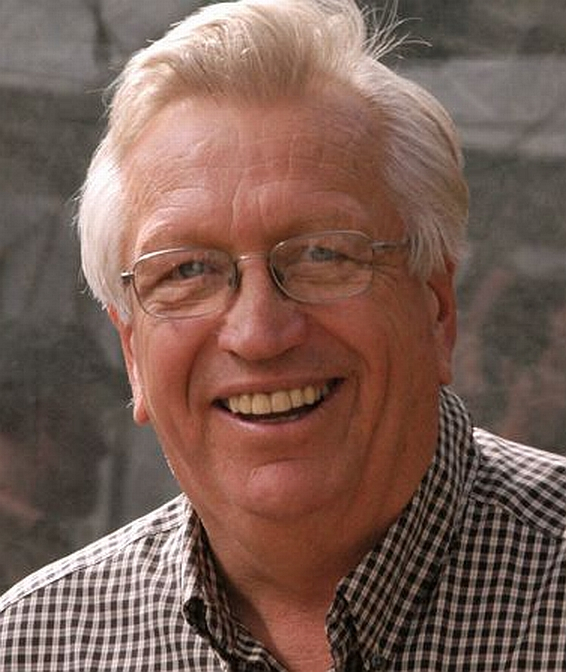 Wes Jackson is a recipient of the Pew Conservation Scholars award (1990), a MacArthur Fellowship (1992), Right Livelihood Award (Stockholm), known as the "Alternative Nobel Prize" (2000), and the Louis Bromfield Award (2010). He has received four honorary doctorates. In 2007 he received the University of Kansas Distinguished Service Award and was one of the 2011 recipients of the University of Kansas College of Liberal Arts & Sciences Distinguished Alumni Awards. In addition to lecturing nationwide and abroad, Dr. Jackson is involved outside The Land Institute with a variety of projects including being a Post Carbon Institute Fellow, a Councillor with the World Future Council and a member of the Green Lands Blue Waters Steering Committee. Antonia Juhasz is a leading oil and energy expert. She is a Fellow of the Investigative Reporting Program at UC Berkeley Graduate School of Journalism where she is investigating the role of oil and natural gas in the Afghanistan war. 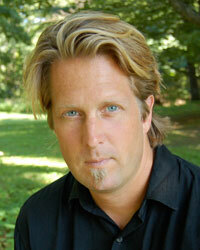 Juhasz is the author of three books: Black Tide: the Devastating Impact of the Gulf Oil Spill (2011), The Tyranny of Oil (2008), and The Bush Agenda (2006). Her work has appeared in numerous publications, most recently in The Atlantic ("The New War for Afghanistan's Untapped Oil"), Harper's Magazine ("Light, Sweet, Crude"), and CNN.com ("Why the Iraq War was Fought for Big Oil"), and in the New York Times, International Herald Tribune, Los Angeles Times, Miami Herald, San Francisco Chronicle, Petroleum Review Magazine, Washington Post, Cambridge University Review of International Relations Journal, Roll Call, The Daily Mirror - Zimbabwe, The Star – Johannesburg, and The Nation. Juhasz was the lead author and editor of the 2009, 2010, and 2011 editions of The True Cost of Chevron: An Alternative Annual Report, for which she received a 2010 Project Censored Award. She is also frequent media commentator. She was featured in the CNBC documentary, "The Hunt for Black Gold," and has appeared in shows including, MSNBC, BBC TV and Radio, Kudlow & Company, The Business Hour with Neil P. Cavuto, Hannity & Colmes, C-Span's Book TV and Washington Journal, Fresh Air with Terry Gross, The Diane Rehm Show, Talk of the Nation, To The Point, Marketplace, Bloomberg Radio News, Democracy Now! with Amy Goodman, Air America, and Pacifica radio, among many others. Juhasz is a reporter with the Investigative Fund of the Nation Institute, an associate fellow with the Institute for Policy Studies and a senior policy analyst for Foreign Policy In Focus. She is on the National Advisory Committee of Iraq Veterans Against the War and on the Board of Directors of Coffee Strong. 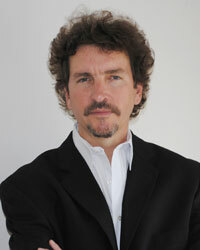 Juhasz founded the Energy Program at Global Exchange, a San Francisco-based human rights non-profit organization, and directed the program from July 2009 to July 2011. Juhasz holds a Masters Degree in Public Policy from Georgetown University and a Bachelors Degree in Public Policy from Brown University. 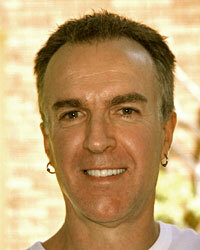 Rob Nixon is the Rachel Carson Professor of English at the University of Wisconsin-Madison. His research utilizes a variety of interdisciplinary and international perspectives to examine issues including environmental time, environmentalism in the global South, the art of the memoir, travel writing, public writing, memory, and migration. His most recent book, Slow Violence and the Environmentalism of the Poor (Harvard UP 2011), has received the 2012 Harold and Margaret Sprout Award from the International Studies Association, the first time in the forty years of the award that it has gone to a scholar from the humanities. It also won the 2012 Transdisciplinary Humanities Book Award from the Institute for Humanities Research at Arizona State University. His previous book, Dreambirds: The Natural History of a Fantasy (Picador 2000), was chosen as one of the best ten books of 2000 by Esquire and as Notable Book of 2000 by the New York Times. Rob Nixon's other books include Homelands, Harlem and Hollywood: South African Culture and the World Beyond (Routledge 1994); and London Calling: V.S. Naipaul, Postcolonial Mandarin (Oxford UP 1992). Jeffrey Thomson, Associate Professor of English, teaches poetry writing and contemporary literature at the University of Maine-Farmington. He is the author of four books of poems, including Birdwatching in Wartime (Carnegie Mellon UP 2009), winner of both the 2010 Maine Book Award and the 2011 ASLE Award in Environmental Creative Writing, and Renovation (Carnegie Mellon UP 2005). He is the 2012 Fulbright Distinguished Scholar in Creative Writing at the Seamus Heaney Poetry Centre at Queen's University Belfast. Recipient of a 2005 Literature Fellowship in Poetry from the National Endowment for the Arts, a 2006 Fellowship from the Pennsylvania Council on the Arts, and the 2008 Fellowship in the Literary Arts from the Maine Arts Commission, he is also the co-editor of From the Fishouse: An Anthology of Poems that Sing, Rhyme, Resound, Syncopate, Alliterate, and Just Plain Sound Great (Persea 2009). Daniel Wildcat is a professor at Haskell Indian Nations University in Lawrence, Kansas, who writes on indigenous knowledge, technology, environment, and education. He is co-director of the Haskell Environmental Research Studies Center, which he founded with colleagues from the Center for Hazardous Substance Research at Kansas State University. 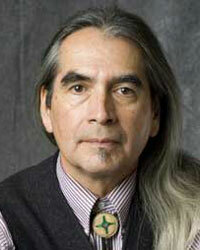 A Yuchi member of the Muscogee Nation of Oklahoma, Dr. Wildcat is the author of Red Alert! Saving the Planet with Indigenous Knowledge (Fulcrum 2009); coauthor, with Vine Deloria, Jr., of Power and Place: Indian Education in America (Fulcrum 2001); and coeditor, with Steve Pavlik, of Destroying Dogma: Vine Deloria, Jr., and His Influence on American Society (Fulcrum 2006). Known for his commitment to environmental defense and cultural diversity, Dr. Wildcat has been honored by the Kansas City organization The Future Is Now with the Heart Peace Award. 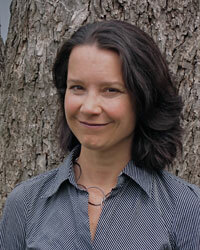 Cary Wolfe is the Bruce and Elizabeth Dunlevie Professor of English at Rice University. His books include Animal Rites: American Culture, The Discourse of Species, and Posthumanist Theory (Chicago UP 2003), What Is Posthumanism? (Minnesota UP 2010), and Before the Law: Humans and Other Animals in a Biopolitical Frame (Chicago UP, forthcoming 2012). Edited collections include Zoontologies: The Question of the Animal (Minnesota UP 2003) and (with Branka Arsic) The Other Emerson (Minnesota UP 2010). He has also participated in two recent multi-authored collections: Philosophy and Animal Life (Columbia UP 2008), with philosophers Cora Diamond, Ian Hacking, Stanley Cavell, and John McDowell, and The Death of the Animal: A Dialogue (Columbia UP 2009), with philosophers Paola Cavalieri, Peter Singer, Harlan Miller, Matthew Calarco, and novelist J. M. Coetzee. He is founding editor of the series Posthumanities at the University of Minnesota Press, which publishes six books per year by noted authors such as Donna Haraway, Roberto Esposito, Isabelle Stengers, Michel Serres, Vilem Flusser, and many others. He continues to publish widely in areas such as animal studies and posthumanism, systems theory and pragmatism, biopolitics and biophilosophy, and American literature and culture, and he has written numerous pieces on art, music, architecture, and other kinds of non-literary culture. He is currently working on a book project to be called Wallace Stevens' Birds: The Poetics of Extinction, and, as of July 2012, will be founding director of a new center at Rice devoted to theoretical study across the disciplines. 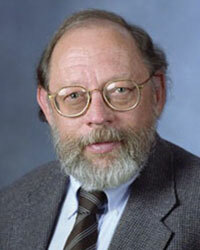 Donald Worster is the Joyce and Elizabeth Hall Professor of U.S. History at the University of Kansas. He is considered a foundational scholar in the field of environmental history and has written extensively on changing perceptions of nature, the rise of conservation and environmentalism, and the impact of the natural world on human society. His most recent book, A Passion for Nature: The Life of John Muir, was published by Oxford University Press in 2008 and was named the best work of non-fiction by the Scottish Arts Council and won the Ambassador Award for Biography from the English Speaking Union. Earlier books have won more than a dozen book prizes. He is former president of the American Society for Environmental History and a member of the American Academy of Arts and Sciences. His extensive publications include Dust Bowl: the Southern Plains in the 1930s (Oxford UP 2004), Nature's Economy: A History of Ecological Ideas (Cambridge UP 1994), and Rivers of Empire: Water, Aridity, and the Growth of the American West (Oxford UP 1992). Information on the Publisher's Exhibit now available.